Center Valley, PA High School Yearbooks part of the US School Yearbook collection at ancestry.com. Search or browse the yearbooks. Get 14 days free! Chambersburg, PA High School Yearbooks part of the US School Yearbook collection at ancestry.com. Search or browse the yearbooks. Get 14 days free! Charleroi, PA High School 1925 Football Team Photo online from flickr.com includes Ralph Dodd Manon and Coach Steven "Steppy" Stepanian. Charleroi, PA High School Yearbooks part of the US School Yearbook collection at ancestry.com. Search or browse the yearbooks. Get 14 days free! Chester, PA High School Yearbooks part of the US School Yearbook collection at ancestry.com. Search or browse the yearbooks. Get 14 days free! 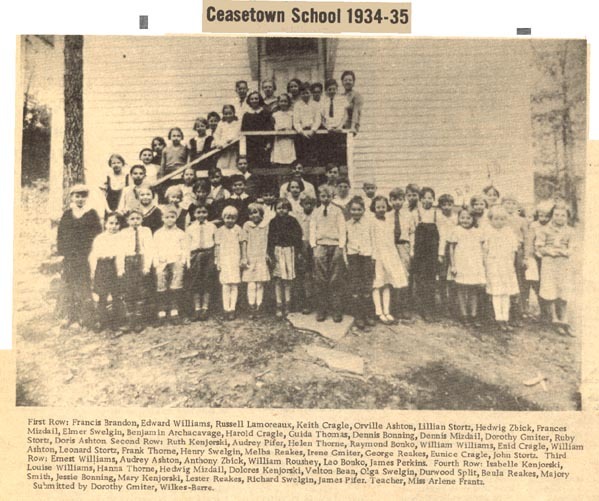 Chewton, PA Public Schools from lawrencecountymemories.com includes school class photos from the 1920s and 1930s. Clarks Summit, PA High School Yearbooks part of the US School Yearbook collection at ancestry.com. Search or browse the yearbooks. Get 14 days free! Clarion, PA Clarion State Normal School Yearbooks: 1909 1910 1911 1912 1913 1914 1915 1916 1917 1918 1919 1921 1922 1923 1924 1925 1926 1927 1928 at archive.org. Clearfield, PA High School 1939 Basketball Team Photo online from familyoldphotos.com. Includes Walter Rougeux, R. Mitchell, F. Long, W. Mohney, A. Curtorillo, W. Finn, Clayton Woodring, Herb Bacharach. Clearfield, PA High School Yearbooks part of the US School Yearbook collection at ancestry.com. Search or browse the yearbooks. Get 14 days free! Clifton Heights, PA High School Yearbooks part of the US School Yearbook collection at ancestry.com. Search or browse the yearbooks. Get 14 days free!